Lack of proper training remains a systemic problem. However, proper training can ensure that employees integrate quality and agency requirements into everyday activities. A bulletproof training program contributes significantly to a company developing a voluntary QA (VQA) culture. When a training program includes all the appropriate components, employees gain the knowledge they require to competently and confidently perform their jobs, which results in a compliant environment that is better prepared for inspections and audits. Do new employees go through thorough quality training when they enter your company? Do you have a clear and specific training program procedure? Can you easily access reports generated for each training session with the names of trainers and trainees, subjects covered, evaluation sheets, and other important details? Do you have established role-based training curricula and a mechanism for identifying what training is required for individual roles? Is there regular employee training? Do you revisit training annually or quarterly? Do errors reoccur, even though people have been retrained to prevent them? Has your training program grown with the company? Have you added the needed training resources/curricula to address an increase in new hires, roles, processes, or product lines? Do you examine “near misses” and use them as teachable moments? How often do you evaluate your training program to ensure it contains all the proper components? Are you evaluating training as you do other areas, such as manufacturing and testing? (How can you improve if you don’t evaluate it)? If an auditor asked you to verify the effectiveness of training in specific areas (e.g., keeping buildings used in the manufacture of API in clean condition), do you have the necessary evidence? Are you seeing fewer errors or less documentation mistakes? Are you seeing knowledge transfer and suitable behavioral changes for the time and money invested in training? If you answered “no” or “not enough” to several of the above questions, your training program requires more attention. Whether you are evaluating an existing training program or starting one from the ground up, it is critical to build a strong foundation on which to grow it. Such a foundation includes the following elements. New hires – Onboarding training includes good documentation practices (GDP), training program training, IT security processes, and core quality assurance (QA) processes, which are usually document management related. Job-specific training is also included. Such training should be completed within the first two weeks after hire, with other modules introduced later, after the employee has been in the position for one to three months. Contractors – This training can include signature records, GDP, training on the training program, and any core QA and/or skills-based training necessary to do their job. Training trainers – Not everyone has the ability to teach or train others. And one critical error is when someone is placed in the role of a trainer when they don’t possess the skills to teach or otherwise lack the ability to make material accessible to others. The result can be an entire group of trainees confused or not clearly understanding their responsibilities related to the task. SMEs who either want to become trainers or are asked to become trainers must demonstrate proper schooling and certification and/or pass a “presentation assessment.” The presentation should be on relevant subject matter, presented to peers and/or other SMEs, and evaluated based on criteria such as clarity, content, presentation organization and style, communication of concepts and content, and the ability to answer questions. This assessment allows individuals to become trainers based on their competency of a developed curriculum and their teaching skills. Establishing role-based (rather than an employee-based) curricula for training allows you to effectively correlate roles and responsibilities delineated in standard operating procedures (SOPs) and training. This allows for a more balanced (and less excessive) training regimen. Monitoring employee competency is a crucial, yet often overlooked, aspect of training programs. Regular and required assessments are the best way to gain insight about what employees comprehend and — just as important — what they do not. Assessments that measure competency (e.g., quizzes administered immediately after training and then again on a later date, possibly during a refresher lunch-and-learn training session) can help you determine if a training approach is working or requires revision. It can also expose how training tactics may be enhanced (e.g., from “read only” to instructor-led training or on-the-job training, given the complexity of an SOP or process). Finally, make students accountable with meaningful assessments. Define a series of training key performance indicators (KPIs) for employees, such as minimum passing grade requirement (80% or 90% is usually considered passing), involvement in ongoing training, or completion of training by due date. Review these KPIs at regular intervals, and manage your training program against these benchmark values. 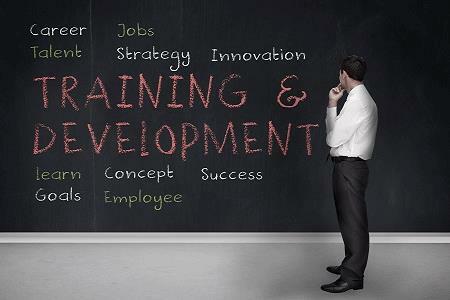 Successful companies recognize that training is not an event but an ongoing process. Business environments evolve constantly; your training efforts should evolve constantly, as well. Implement continuous training tactics (e.g., lunch and learns, annual GxP training, and quarterly internal audits or surprise FDA drills) so training becomes part of the company culture and employees come to expect it. It is concerning that many pharmaceutical companies have not implement such programs in the first place, since it prevents them from measuring their success or improving results over time. Employee training impacts performance, and when employees perform better, there is a reduction in compliance issues. Investing in the proper thinking, approach, and resources is the best way to bulletproof your quality training programs so you can operate in a more proactive “prevention” mode vs. a reactive “inspection” mode. Whether you are constructing a quality program from scratch or have recently “inherited” a compliance function, remember that everyone plays a part in quality. A VQA culture involves trust, collaboration, and ownership among many people and across many departments. Training is fundamental for employees to learn, understand, and accept this type of culture. It is the best way to communicate that quality is not what you must do at your company, but rather what we can do as a team. Judy Carmody, Ph.D., is the founder and principal consultant of Carmody Quality Solutions, LLC, based in the Boston area. With 20+ years of expertise driving vision in operations, quality assurance, control, systems, validation and analytical development, she has a reputation as a Quality Turnaround Specialist in the pharmaceutical and biotechnology industries. Find her on LinkedIn.